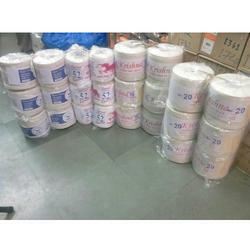 We are a leading Manufacturer of cotton packing threads from Mumbai, India. We are offering a high-quality range of Cotton Packing Threads in the market. Our range of this product is available in 16no 20no 22no 52no in kg packing. Moreover, these products are tested on several quality parameters to check their finishing and unmatched quality. Our offered assortment of this product is available at competitive prices. Looking for Cotton Packing Threads ?